Feeling the pinch at the pump? Did your wallet sustain a bit of a shock recently due to the soaring gas prices? It’s not your imagination. Gas prices are significantly higher than they have been recently. According to the latest data from Stats Can, Canada’s inflation rate grew by 2.1 per cent in January, which marks the greatest increase in two years. And what’s behind this spike? A significant surge in gas prices. 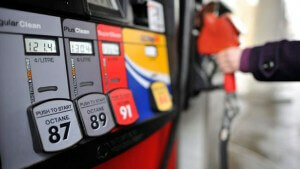 “Statistics Canada’s latest report shows that gas prices went up an astounding 20.1 per cent year-over-year in January. This is the biggest jump that we’ve seen since 2011. It’s hard to stay on budget when a variable cost like gas goes up so much, so quickly,” says Jeff Schwartz, executive director, Consolidated Credit Counseling Services of Canada. “This just goes to show that when it comes to some of the costs in your budget that can fluctuate, like gas, food and interest-rate related costs, you should expect the unexpected. 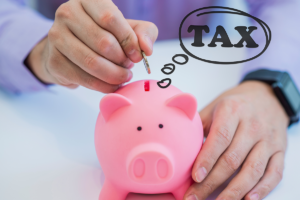 It is crucial to approach your budget from both sides, including lots of wiggle room for unexpected costs, as well as actively looking for ways that you can save,” says Schwartz. When it comes to filling up your car and keeping a lid on skyrocketing gas prices, here are some suggestions. Preventative maintenance goes a long way in terms of extending your car’s life, but also in making your gas usage more efficient. It is important to make sure that your tires are properly inflated at all times. Also make sure to get your tires aligned (usually twice a year at least). It’s also important to get regular oil changes and air filter replacement at the same time. Clogged filters ruin your fuel economy. If you are accustomed to driving quickly with sudden, “jackrabbit” stops, it is time to be a little more gradual in building up your speed. By the same token, if you know that you are approaching a red light or a stop sign, take your foot off of the gas. Speeding is expensive-and not just if you get a ticket. Driving too quickly burns more gas than you need. Slow down to the speed limit and you’ll have more gas in your tank for longer. Is there junk in your trunk? The heavier your car is, the more gas you need to move it from point A to point B. It’s worth cleaning it out. As the seasons change, you may be tempted to drive around with the windows down. There is no easy answer to this question; however, the rule of thumb is that on the highway, at higher speeds, AC is the way to go. In the city, or at lower speeds, take in the breeze and cool down with your windows down. Sometimes downsizing is the way to go when you are trying to save money. If the cost of running two cars is blowing your budget, why not combine your efforts into one automobile? With planning and logistics, you can make use of public transport, carpooling or even biking or walking and pocket the savings. When you drive around with your car on “E” you run the risk of getting stranded and also having to pay top dollar for gas because you are in immediate danger of running out. If pushing the needle on your gas tank is something you do regularly, you could really derail your budget. Are you finding it hard to pay your bills because of the high cost of living? Don’t turn to credit. Pay down your debts to have more available cash. We can help you get started when you call one of our trained credit counsellors at 1-888-294-3130 or try our free online debt analysis. Are these commonly overlooked expenses sidelining your budget?